As you may know, I am ashamedly not a knitter, but Winter is definitely the time to get your wool out (and on!) so I’ve roped the amazing Julie over at The Knitted Jumper to show us some of the best FREE Christmas knitting patterns out there! If you’ve not come across Julie’s blog before, I’d set aside a good hour – trust me, you’ll end up on there for hours discovering all her awesome knitting finds and creations. I’m not a knitter and even I couldn’t stop scrolling! As always, would love to know if you’ve made any of your own pattern discoveries, so please don’t be shy and leave your comments at the bottom! Winter is finally here, good and proper, which means that Christmas and the season of all things sparkly is just around the corner, hurrah! 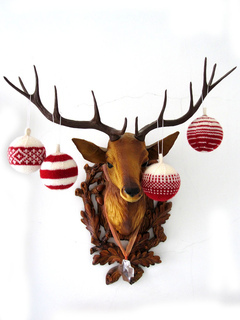 What better way to celebrate the festivities than with free Christmas knitting patterns. Writing this post was harder than I’d thought as there are sooo many lovely, free Christmassy knitting patterns to choose from, so I hope you like my selection! This silver stag Christmas jumper is so lovely. I would struggle to knit this jumper in a month so its on my project list for next year, but if you’re a fast knitter its definitely doable. I think this would be especially nice knitted in a tweedy type yarn. Christmas jumpers you buy are often made in acrylic, which for jumpers I’m not a fan of, and woollen ones tend to be pricey. Using Drops Karisma which is 100% wool, I priced this jumper as costing about £28 for the medium size, what a bargain!! and these lovely Christmassy mittens, although I think for the mittens I’d change the colour way (colour scheme) to purple, green and white. If you don’t have time to finish larger projects before Christmas, then knitted Christmas decorations might be more for you. Again there are loads to choose from, but for me, there are three winners. 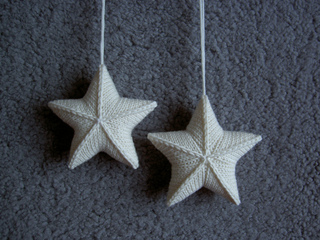 First is this lovely knitted star or Stjarna pattern by Karolina Eckerdal on Ravelry. You do have to create an account in order to sign in and get the pattern, but Ravelry is such a store of lovelyness, you probably have an account already, and if you don’t then you definitely should! I think these would be so lovely knitted in a gold sparkly yarn, such as Sirdar Soukie in either ‘Into The Sun’ or ‘Gold Dust‘. It’s such a beautiful pattern though, I think it works just as well in classic white. 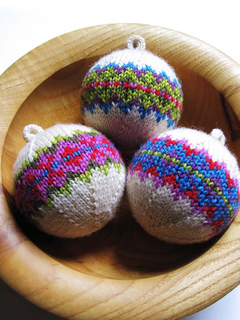 Also from Ravelry are these knitted bauble decorations by General Hogbuffer (brilliant name!). I love these, a lot! I have seen similar bauble knitting patterns for sale and they’re not cheap, which makes these gorgeous free patterns doubly brilliant! I’ll own up now about the next pattern, due to previously knitting this pattern I am slightly bias about its loveliness, but don’t let my gushing put you off. For me the pattern knitted up larger than I’d wanted, so I did have to reduce the pattern slightly, but this didn’t sway me from its cuteness, and I got so many compliments about them. I think a really big one would be amazing, but I’m not too sure what I’d do with a giant knitted Christmas tree, so I’ve held off! 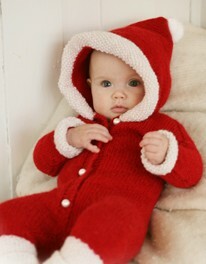 My final free Christmas knitting patterns is a slight cheat, but so amazingly cute I couldn’t resist! The charity Save the Children run a fund raising day each year called Christmas Jumper Day. The idea is that you wear a Christmas Jumper to work or school etc, and then donate a £1. A very simple idea and a great way to generate some extra cash for all of the amazing work they do. 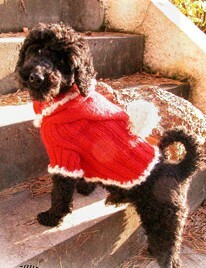 You can find brilliant Christmas jumper patterns on their website and also the Deramores website has some corkers! 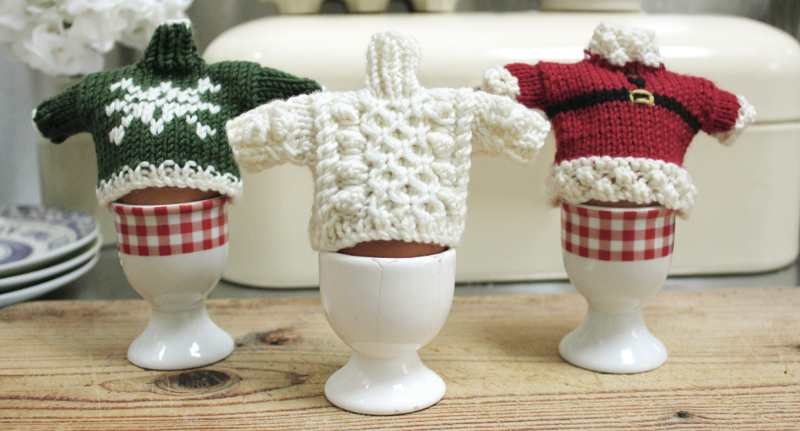 Knitting a jumper though can be a bit daunting and very time consuming, so I was very excited when I spotted these little mini egg-cosey jumpers by Debbie Bliss, LOOK HOW CUTE THEY ARE!!!! There are simply not enough exclamation marks to signify how excited I got when I saw them! I think they would make a brilliant Christmas gift for someone, or many mini jumpers could somehow be incorporated into one Christmas decoration. Either way, they are brilliant and I will have knitted at least one of these by the end of year! I hope you find Christmas knitting inspiration from these patterns. 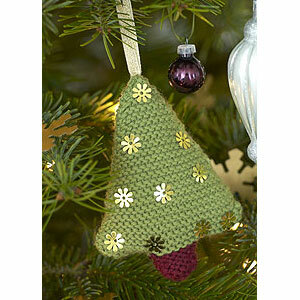 Find me on twitter to share your knitted Christmas creations! If, like me, you love Julie’s style, then head on over to her blog: http://theknittedjumper.wordpress.com! If you’d like to receive a monthly round up of these posts, then please do signup here!